All WCCLS web services will be offline for scheduled maintenance on Tuesday, October 4, starting at 6:30 AM. Estimated downtime is one hour. Bounce back faster from disaster! 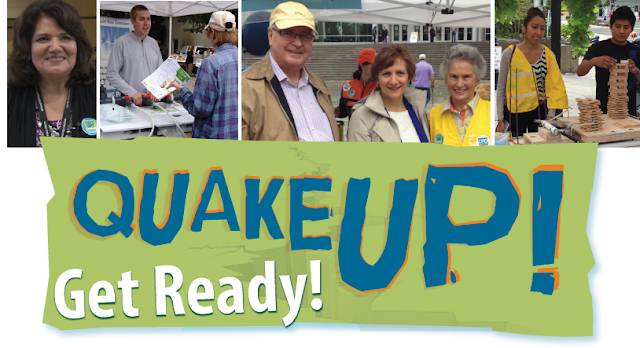 The quality of life after an earthquake is dependent on how well prepared you and your neighbors are. Don’t miss Quake Up! 2016, an educational and hands-on event which will help you and your family prepare for an earthquake or other disaster. Saturday, October 1, 9:00 a.m. - 1:30 p.m. Receive information, visit with experts, attend presentations, and enter drawings for emergency supply giveaways. Learn how to prepare for a major earthquake, including what steps to take during and immediately after the quake itself, and what to do in the following days and weeks after a disaster. Large earthquakes occur within a seismic zone just off the Pacific Northwest’s shores, extending along the entire Oregon Coast. A major strike that will impact the entire Northwest is due—significant damage can be expected to reach inland to the Tualatin Valley, Portland region and other population centers. Quake Up! 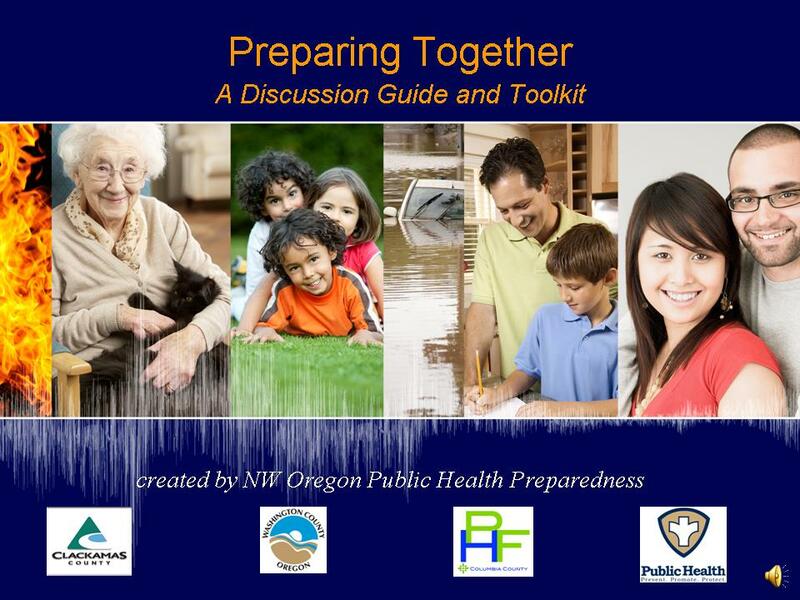 is a showcase of public information, education and step-by-step tools for the Washington County community to better survive the “big one” and recover. 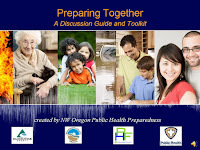 Check out a Preparing Together Kit from your library - a discussion guide and toolkit to help families and communities prepare for emergency. Resources are also available online. Currently, in Washington County, approximately 30% of all students registered in first grade are Latino. Many Latino households speak Spanish as their first language. There is a strong correlation between literacy in a first language and literacy in a second language. Providing quality books to children and adults in their original language has a positive effect on their English literacy. 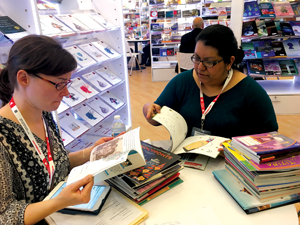 With this goal in mind, last November two librarians from WCCLS member libraries attended the acclaimed International Book Fair in Guadalajara, Mexico to acquire Spanish language materials to expand our collection that is locally available to both students and all WCCLS library cardholders. This fair attracts more than 750,000 attendees, and almost 2,000 publishers are represented. Our librarians focused on obtaining titles that are typically unavailable for purchase in the United States. Due to their efforts local readers now have access to 2,154 new quality publications in Spanish. 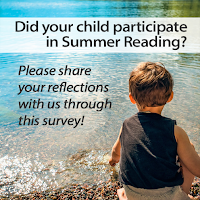 Survey: Tell us about your child's summer reading experience! 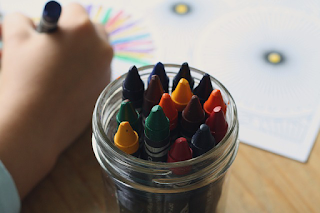 Did enjoy a great summer with your child this year through the Summer Reading Program? 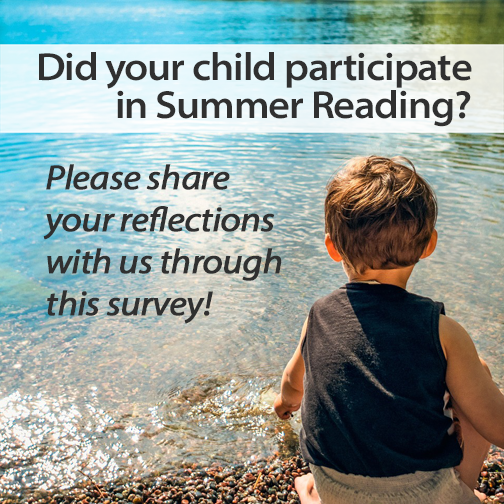 Fill out the Summer Reading Survey to tell us all about it in four short questions! The survey is English and Spanish. Encuesta: ¡Cuéntenos sobre la experiencia de su niño con la lectura en el verano! ¿Disfrutó con su niño el Programa de Lectura de Verano? Complete la encuesta sobre la Lectura de Verano y cuéntenos sobre la misma en cuatro preguntas breves. La encuesta es en inglés y en español. Early Learning Washington County has been awarded $100,000 to support growing numbers of immigrant and refugee families in Washington County. The federal grant provides 3,500 family friendly early literacy book bags so that students can be prepared to succeed in school. The bags contain books and supplies in Arabic, Chinese, English, Somali, Spanish and Vietnamese. Abigail Elder, Director of the Beaverton City Library is excited about what this means for Washington County communities: “We know successful integration of immigrant and refugee families in our communities is often tied to their children's academic success. Their children are expected to do well in school, learn English quickly and contribute to the family's successful adjustment. This grant award helps us help them do that.” The Beaverton Library will also add more culturally and linguistically appropriate books for children and adults to their permanent collection. The grant is awarded by the Institute of Museum and Library Services through the Library Services and Technology Act administered by the Oregon State Library. Early Learning Washington County is a partnership between United Way of the Columbia-Willamette and Washington County Health & Human Services to improve educational outcomes for children in Washington County. Washington County Cooperative Library Services is working with Early Learning Washington County and Beaverton City Library on this grant to improve library services for new county residents.